Victoria is a place of varied beauty, style and entertainment, and a great place to get married. If you are looking for the best wedding venues in Victoria, then we have the perfect list for you. A lush landscape including crystal coastline, vineyards and mountain ranges, vibrant cities and historic rural centres. It is also the home of some incomparable food and wine makers, renowned for a laid back but discerning gourmet foodie lifestyle. Throughout Melbourne, around the bay and all of the state, there are many world-class wedding venues to choose from. Check out this list for the very best. And if you don’t fall in love with one of the venues on this list, or you are looking to get married somewhere else in Australia, be sure to check out our other blogs and details list of venues. The picture galleries alone will fill you with anticipation for your special day. This luxury spa, hotel,and restaurant is one of the most famed eateries in rural Victoria. Overlooking the lake just outside Daylesford, this venue is a blend of magnificent views and photo backdrops, award-winning cuisine, premium beverages,and impeccable service. For the couple who only want the very best, every event here is a resounding success. In the heart of Melbourne, this all-in-one wedding venue overlooks the Yarra River, and is convenient for everyone to get to. The quality and excellence of everything a Leonda makes it a favourite on ‘best of Melbourne’ lists. With a variety of versatile rooms, this space can be adjusted to suit any size or style of wedding day. Gorgeous in all seasons, you will especially love the deck, and the bridal couple’s exit by river as all their guests wave them on their way. For little touches, fine details and big impact, you must consider Ballara Receptions. In Melbourne’s northern suburbs, this is where dream weddings come to life. The stunning white and dove grey buildings have been completed redone to cater purely to wedding celebrations. Spaces to choose from include an authentic chapel, English gardens, waterfall and lake, gazebo, fountain and much more. One of the grandest hotels in all of Australia, if you haven’t experienced the Mansion Hotel then you don’t know how magical weddings can be. Your ceremony, reception, photos and even accommodation for all of your guests can be handled here. Plus you can attend the day spa to prepare for your big day, or to relax and wind down afterward. Surrounded by 10 acres of immaculate, manicured gardens, the 19th-century mansion is where the real ‘wow’ factor comes in. Spend some time at the Mansion and you will never be disappointed. Eurambeen historic homestead is located in the Victorian Pyrenees, but you will feel as though you have entered another world. In incredible old property and lush gardens, here they specialise in DIY weddings, where you can bring in all of your own preferred vendors. They have the setting already perfected for you. Built in 1862 and still one of the most beautiful and extraordinary homesteads in Victoria, if you are looking for a destination wedding with a difference then Eurambeen is for you. The Windsor in Melbourne’s CBD is a stunning grand old dame, and famous for vintage luxury and opulence. Refurbished to its original 1883 condition, you will feel like yours is a royal wedding when you hold it here. All of your guests’ needs can be looked after right at the hotel, so you need never leave, but as you are in the heart of the city and entertainment district, why not continue to party the night away and celebrate your nuptials until dawn? When you want an intoxicating backdrop for the biggest day of your life, you can’t get more impressive than the Victorian Alps. Celebrate your wedding and reception at Thredbo, one of the state’s most iconic hotels. The region is famed for skiing and winterplay, but it is also stunning in the warmer months, making it the ideal destination year round. The level of quality and service is incredibly high, with passionate event staff who will guide you through each moment to make sure every little detail is on point. The picturesque Dandenong Ranges just an hour from Melbourne has an abundance of exemplary wedding venues, but Mist@Olinda is our choice from this region. Deep in the natural botanic garden, the green and colourful flora provide a beautiful canvas on which to paint your perfect wedding day love story. The magnificent buildings and grounds have been set up to fulfil wedding fairytales. Offering a range of locations for every part of your day, and packages and styles to suit every couple. In Melbourne’s eastern suburbs embraced by centuries-old cypress trees is the outstanding Gables estate. The Gables is a refined and graceful homestead, and its versatility means it can cater to all kinds of wedding days. From formal dining to a casual picnic or cocktails and canapes, food trucks, to Gatsby style, and so much more, your perfect theme can come to life here. Talk to their dedicated staff today to see what can be crafted personally just for you. Wine, dine and relax in style at the Peppercorn Hotel. 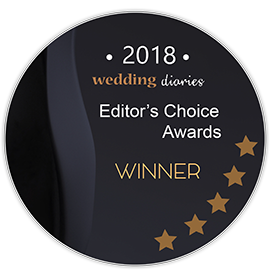 Specialising in boutique and intimate weddings, if you are planning a country, rustic or vintage style wedding day, then this venue should be at the top of your list for inspection. Couples who have been lucky enough to tie the knot here rave about their experience. When you book the Peppercorn you get exclusive use of a 150-year-old historic hotel and grounds including dining room, bar, balcony and gorgeous weeping peppercorn tree overlooking everything. Yes, when it comes to weddings, Victoria truly has it all.